Education is the gateway to an improved future. An estimated 75% of today’s college students must balance school with work and child or elder care responsibilities. But as the cost of education has grown, the amount of financial aid available for students has shrunk. Non-traditional students juggling families and jobs while pursuing their educational goals are particularly affected. 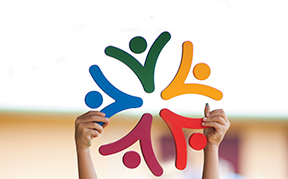 For a century, Hawaii Community Foundation has helped donors maximize the power of their gifts to aid Hawaii’s students in achieving a brighter tomorrow. Our robust program consists of nearly 200 different scholarships established by individuals, businesses, community organizations and private foundations, as well as the HCF Community Scholarship Fund, which aggregates gifts from multiple donors to maximize impact. This pooled fund is supported by many donors. It awards scholarships to students who are the first in their families to attend college or have other unique educational circumstances. Contributions made to this fund are amplified by the combined power of aggregated donor gifts to maximize the aid provided to students. Donors with educational charitable missions can found a new scholarship fund tailored to individual preferences. You can start a scholarship to provide aid to students from a geographic area, an under-represented segment of Hawaii’s population, those pursuing a particular field or profession, those affiliated with a specific company, or those attending a designated institution. Joining HCF’s scholarship program maximizes your charitable efforts by taking advantage of our expertise in scholarship administration. Joining one of the largest scholarship programs in the state is a cost-effective strategy, reducing application expenses for students and streamlining the application review process on the administrative side. 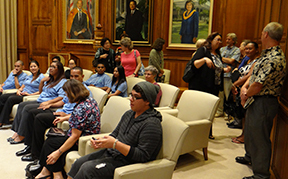 As the third-largest private provider of post-secondary scholarships in Hawaii, HCF is a well-known and relied-upon source for students seeking for aid. Your fund will be visible to the greatest number of students looking for educational opportunities. Establishing a fund through HCF also leverages additional resources that benefit scholarship applicants: a single application serves all our 190-plus funds, and recipients of one scholarship may be considered for additional grant awards. Interested in opening a scholarship fund?